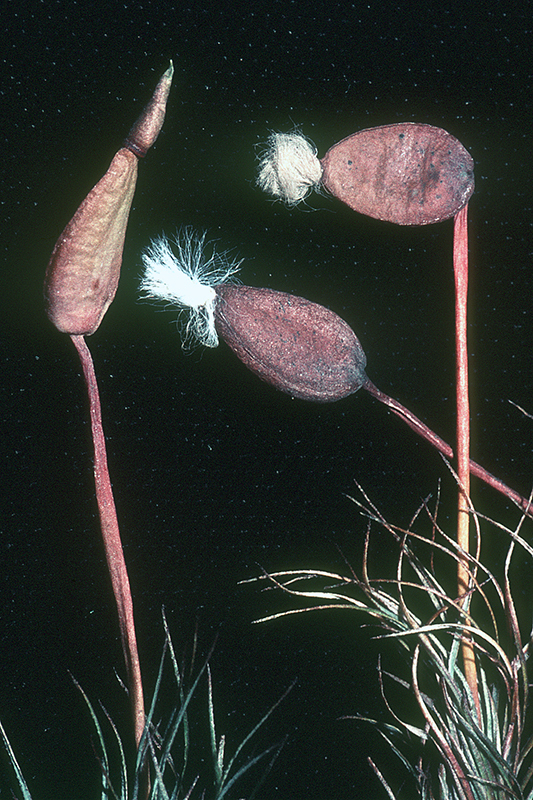 One capsule with operculum lid (left) and two capsules (right) with tufts of peristome hairs. 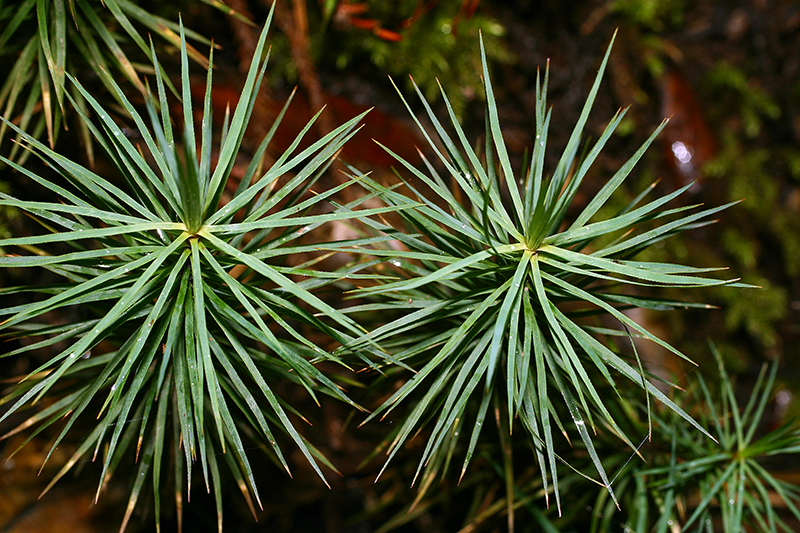 Dawsonia superba is tall robust terrestrial moss with stiff, prickly leaves that reaches 50 cm in height. 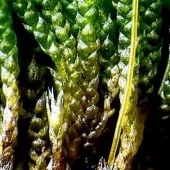 Like most members of this family, the leaves are many cells thick and have closely spaced lamellae running down the length and width of the upper leaf surface. 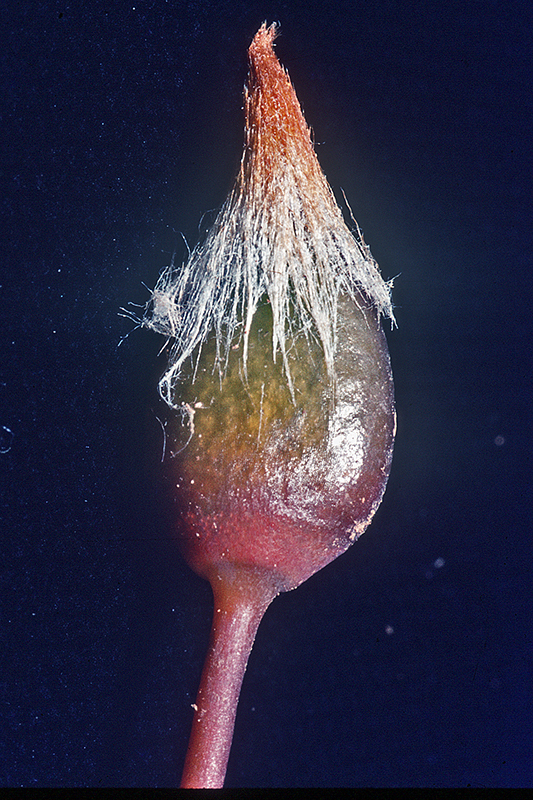 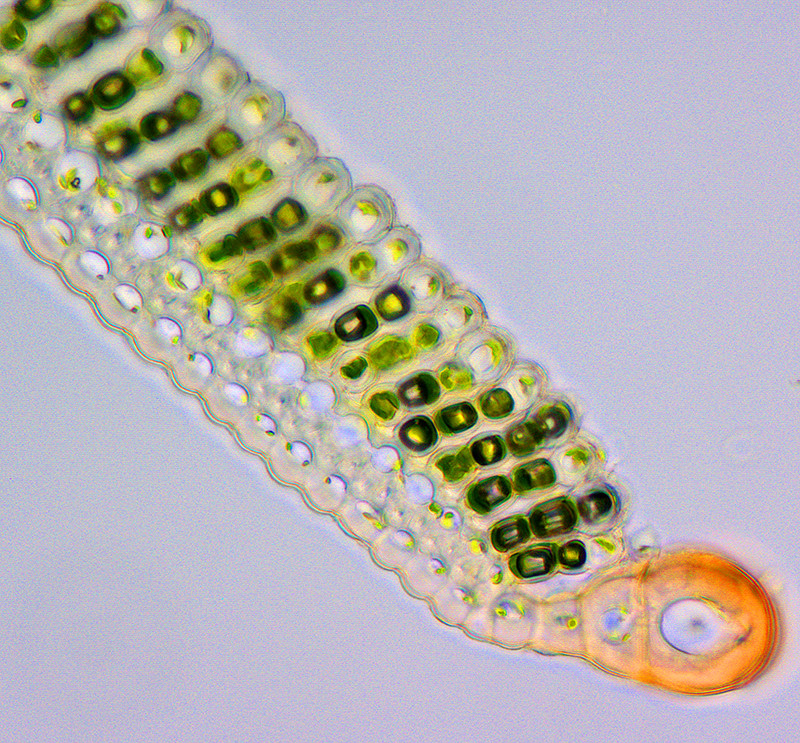 Each lamella is one cell in thickness and several cells in height. 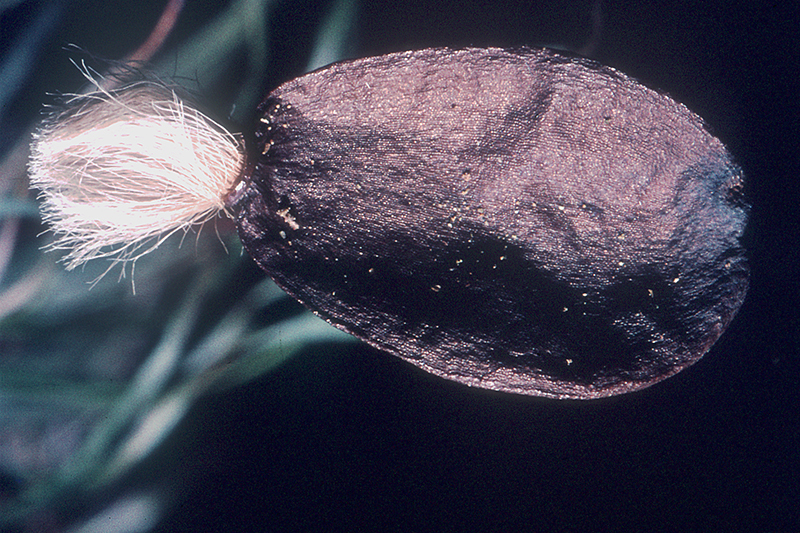 Unusuall for the family, the peristome consists of numerous filamentous hairs. 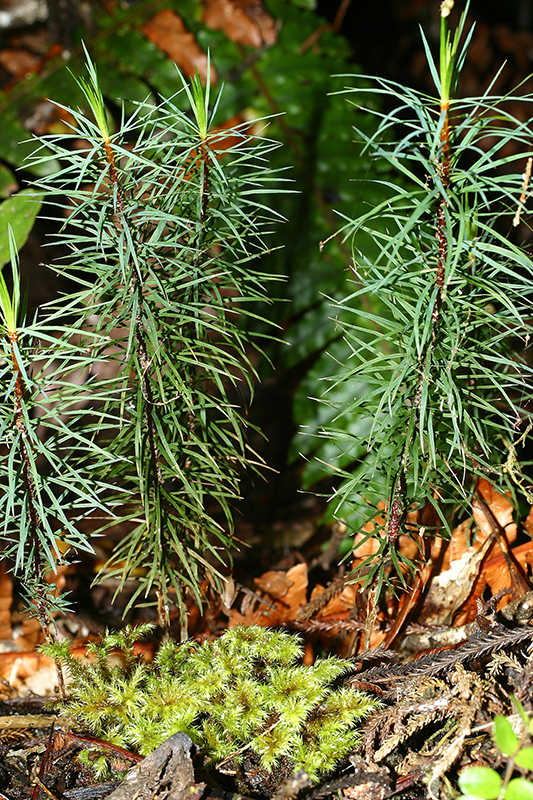 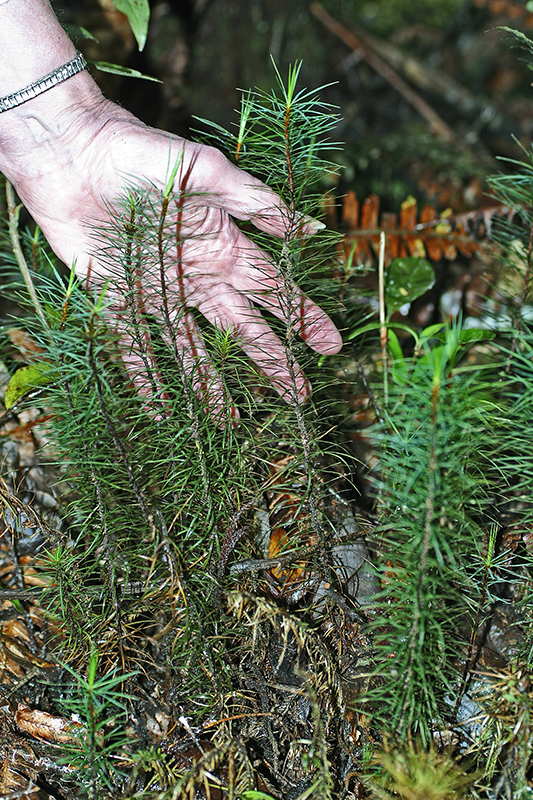 Widespread in New Zealand in moist open forest.